Our aim at the Mill is to have every child develop a love of reading. We believe that if this is the case our children will make accelerated progress. Accelerated Reader is a simple reading programme that we have bought as a school to improve our reading engagement and our reading levels. All children in Year 3, 4, 5 and 6 are on Accelerated Reader and have regular rewards, prizes and challenges to encourage reading. Every other week during assembly reading rewards are given out. We deliver rewards based on how many words children have read. Our score system is below. 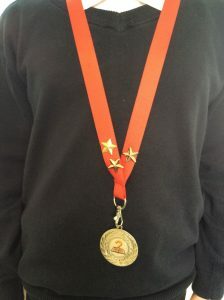 1 million words- children receive a gold medal to add to their lanyard. We also keep track on class percentages throughout KS2. We monitor each class’s average % that they score on quizzes. Our school aim is to achieve 85% or more every week as a class average! The classes are then ranked on the intranet page next to mathletics. Have a look and see where you child’s class are at with their accelerated reading! Every half term a child will take a star reader test. This will allow teachers to monitor children’s reading ages and the progress they are making. Accelerated Reader also gives teachers the information they need to monitor students’ reading practice and make informed decisions to guide their future learning. Each half term a child will be given a new ‘reading range’ this tells the children which books they can read. If you are not sure which level books your child needs to be reading do not hesitate to ask their class teacher. The comprehensive set of reports reveal how much a student has been reading, at what level of complexity, and how well they have understood what they have read. For more information visit here or talk to your child’s class teacher. The interactive Reading Dashboard allows educators to see how well students are performing at class, group and individual level. It brings together data from the Accelerated Reader and the STAR Reading assessment to allow teachers to diagnose problems and inform intervention programmes.